A day at the zoo can be a great experience for any family. 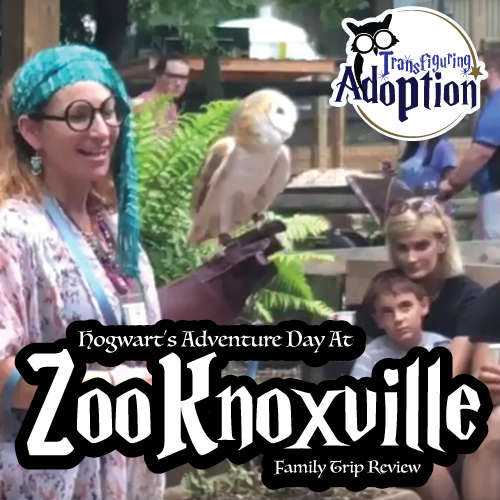 When our family heard that Zoo Knoxville was offering a Hogwarts Adventure Day, we had to investigate it. 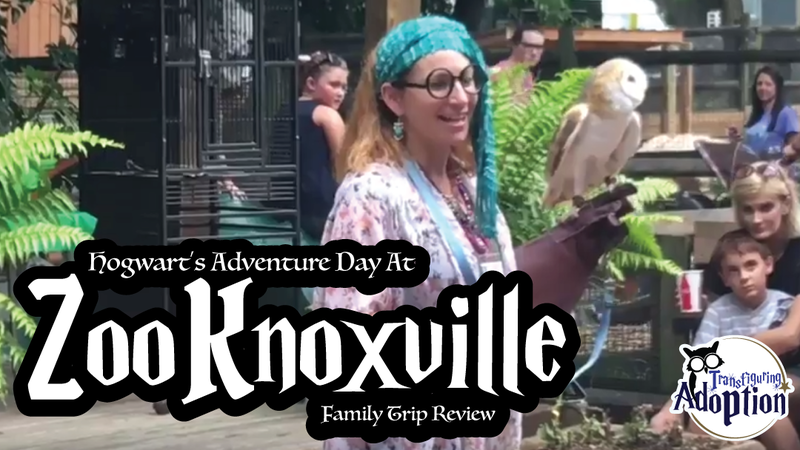 Watch the video of our day and let us know if this looks like something that your family would enjoy. “‘WHAT HAVE I TOLD YOU,’ thundered his uncle spraying spit over the table, ‘ABOUT SAYING THE ‘M’ WORD IN OUR HOUSE? 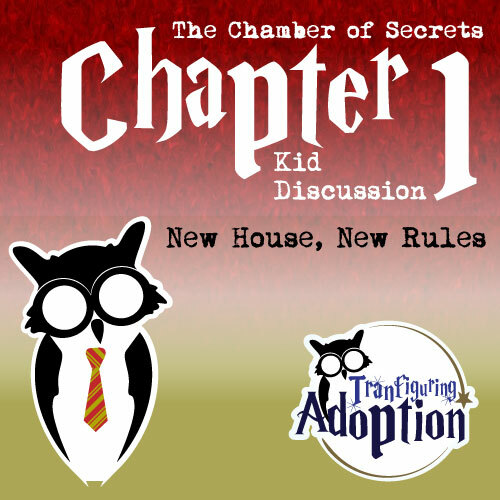 '” – Chapter 1, Harry Potter And The Chamber Of Secrets by J.K. Rowling. Harry Potter is back to his life at the Dursley’s home. We love celebrating birthdays at our family’s home. However, it seems in the Dursley home that if your last name is Potter, you might as well not have a birthday. Everyone was more interested in Uncle Vernon’s work meeting than in Harry’s birthday. There was one moment when the family was sitting at the table eating that our family that was really funny. Can you guess which moment that was? 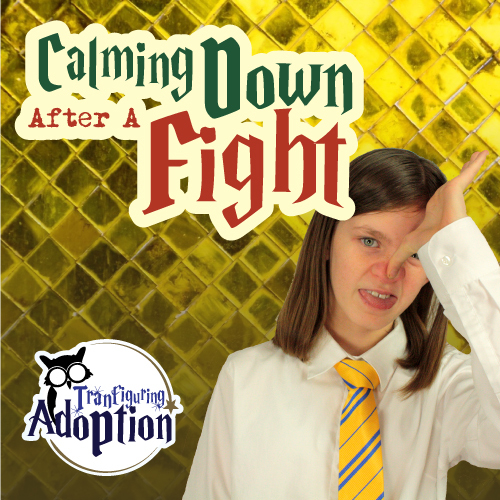 This comical situation led to a conversation at our dinner table about the different rules that foster and adoptive kids have experienced from changing homes. I, Darren, grew up with my biological parents and we only moved one time during my childhood. In fact we only moved from one end of town to the other end. I have no idea what it is like to change homes constantly during childhood and with moving changing families and house rules. I immediately questioned, “What about bedtimes and desserts at our house? 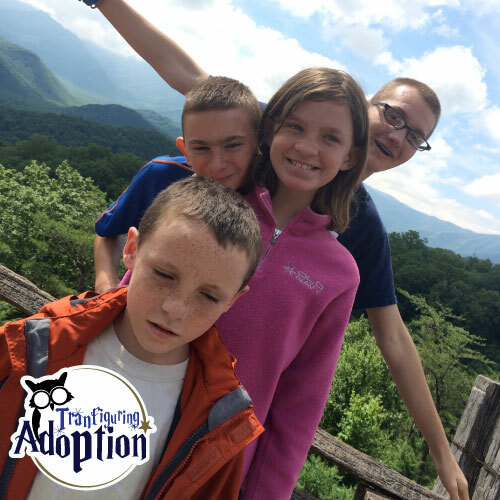 One of our children refused to admit that our home was a different experience. 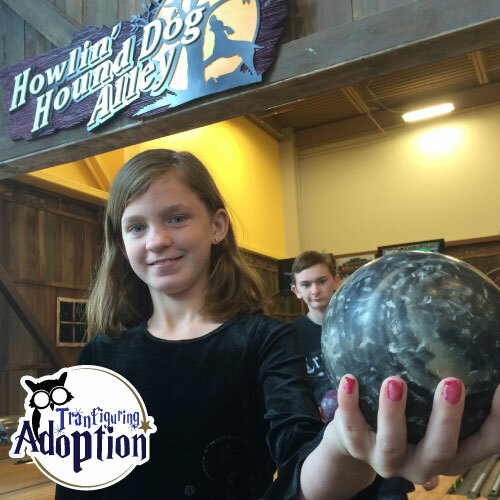 However, our whole family would admit that this child had a difficult time at first in our home. In our home Margie and I have the rule that you eat what is put in front of you, and we always try new foods. Consequently, this means that we have various entrees for dinner as well as desserts. 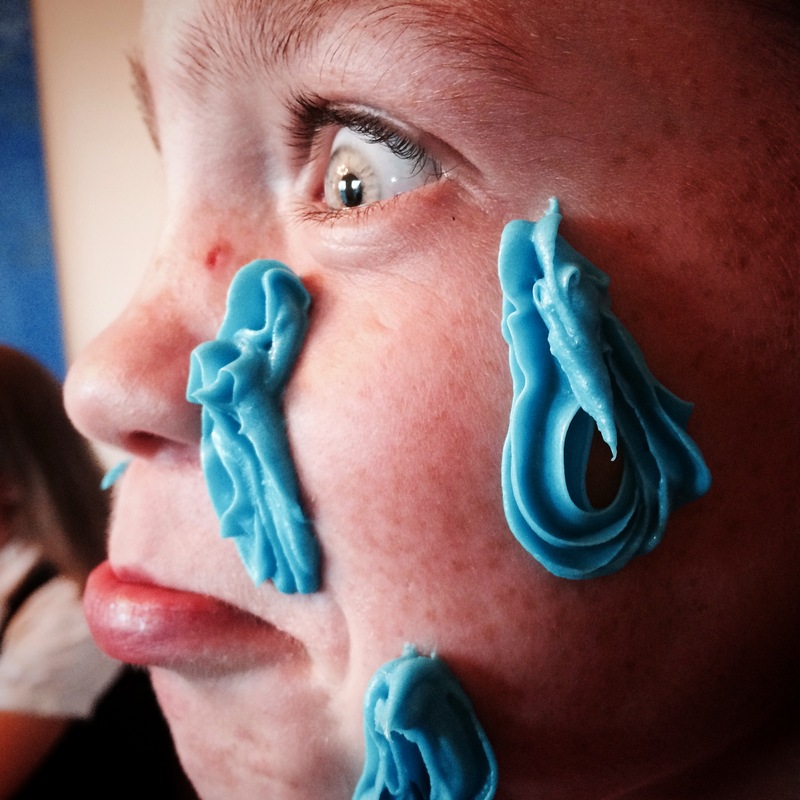 One of our sons loved ice cream and was upset when we changed his routine of receiving daily servings of ice cream. While the other kids tried to come up with a situation or a rule that this child would admit bothered them, I thought of a situation that effected all the kids. Let me explain that in our home we told the kiddos as they moved into our home that there were a couple of things to know about unpacking their toys. Toys put away in common areas like the family room were available for everyone to play with. Toys and belongings put away in your own room are off limits to other people. It’s understood that those are objects that are special to you and items you don’t want damaged by someone else. It seems simple enough, right? It also keeps little kids away from your stuff. My child initially placed all of their belongings in their room. Not a problem, except that this child had more toys than room. However, the child managed to get all of the items put away in the bedroom in a relatively neat way. The next issue came though when this child began thinking that people were taking their toys and also believed that some of Margie and my toys were theirs. Suddenly, our household had a problem. My child would randomly take toys out of other kids’ hands and yell, “GIVE IT BACK. THAT’S MINE.” A crying child would then come to me and explain that the toy was in a common room. This child didn’t care and insisted the item was theirs and wanted things their way. “Why was this rule such a big deal for you do you think?” I asked. “When you’re moving from house to house, it was hard because you didn’t know if your stuff would get lost or broken,” chimed another kid. I didn’t think about that fear. Again we had the rule so that people felt like their possessions were safe. Are you ever scared that people will forget your birthday? What is a rule you don’t like in your house? Why does your family have that rule? If you changed homes, what are some of the new rules? What were some of the rules at your previous home? What are rules you would like to change in your home? Why?